PortaOne’s team has participated in yet another VON show. This time it was in Boston, MA. We were already there last fall in 2005. Thus, altogether it is the third PortaOne’s VON after Spring VON in San Jose, CA earlier this year. Fall VON is a major industry event and PortaOne is attracted by the great amount and quality of attendees. 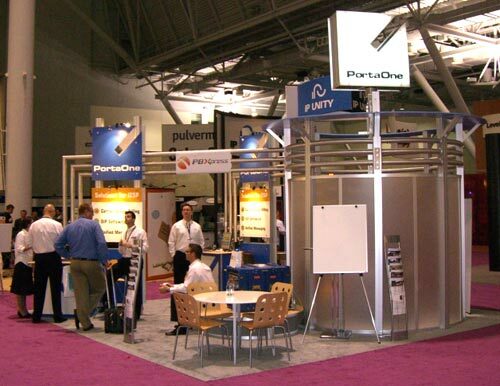 Our team met a lot of existing customers and potential prospects during this show. The updated booth design features rotating logo on the top of the booth and new bright panels with product descriptions. We have also confirmed our participation in Spring 2008 VON in San Jose, CA - Booth 927.